Saint Jerome recalls that we can never read Scripture simply on our own. We come up against too many closed doors and we slip too easily into error. 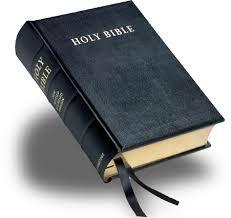 The Bible was written by the People of God for the People of God, under the inspiration of the Holy Spirit. Only in this communion with the People of God can we truly enter as a “we” into the heart of the truth that God himself wishes to convey to us Jerome, for whom “ignorance of the Scriptures is ignorance of Christ”, states that the ecclesial dimension of biblical interpretation is not a requirement imposed from without: the Book is the very voice of the pilgrim People of God, and only within the faith of this People are we, so to speak, attuned to understand sacred Scripture. Kieran O’Mahony OSA is an Augustinian friar and biblical scholar. He lives in St John's Priory (John's Lane), Thomas Street, Dublin (D08 F8NW) and he works for Dublin Diocese as coordinator of biblical studies. His most recent book is called Speaking from Within. Biblical Approaches for Effective Preaching. To order a copy, click here. In 2018, Kieran published a translation of a book on silent prayer, entitled How to Sit with God. A Practical Guide to Silent Prayer (by Jean-Marie Guellette, OP). It may be ordered here. To download a pdf What the Bible says about the Stranger click here. To receive the weekly notes by email click on the link and fill in the simple form. The site is secure. Here you will find notes on the Sunday readings as found in the Catholic lectionary since the Second Vatican Council. The readings are often the same as those found in the Revised Common Lectionary. It is a sincere wish that the notes may be of use to other traditions as well. The full notes are offered as a PDF. The gospel notes only are offered in audio format and also in a format friendly to smartphones and tablets (portable). The SOTW is an adult faith project in biblical studies for the diocese of Dublin. The details may be found on the dedicated webpage and the calendar gives details of what is happening where. On this page you will find reflections on the Gospels for Holy Week, from Monday through to Easter Sunday.